Authorities in Costa Rica have located a body in their search for an American woman who went missing while on vacation. A spokesperson for Costa Rica's Judicial Investigation Department confirmed to ABC News that remains were found. 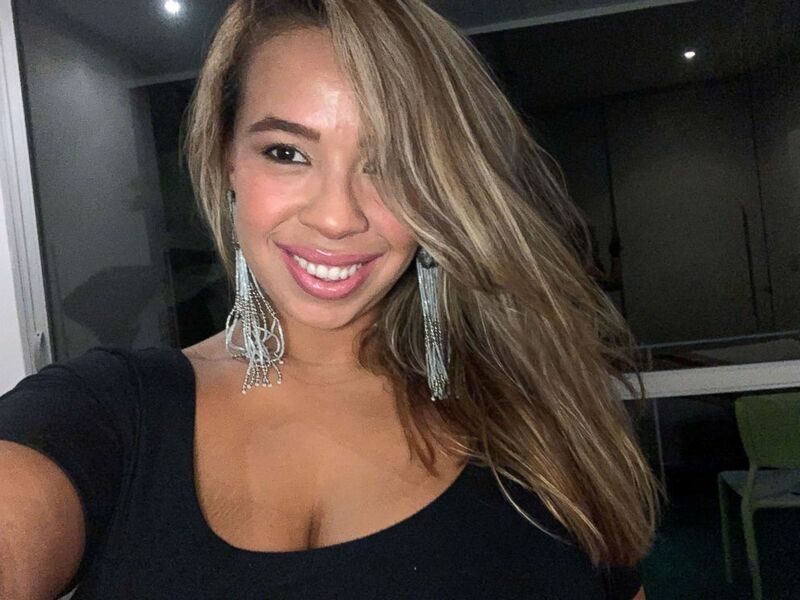 The body was found in a wooded area Monday as investigators combed through the region where Miami resident Carla Stefaniak, 36, spent what was supposed to be her final night in Costa Rica last week, Judicial Investigator Director Walter Espinoza said in a press conference. The remains belong to a woman, but they have not yet been positively identified, Espinoza said. In addition, fluids found in the apartment where Stefaniak was staying have the consistency of blood, Epsinoza said. 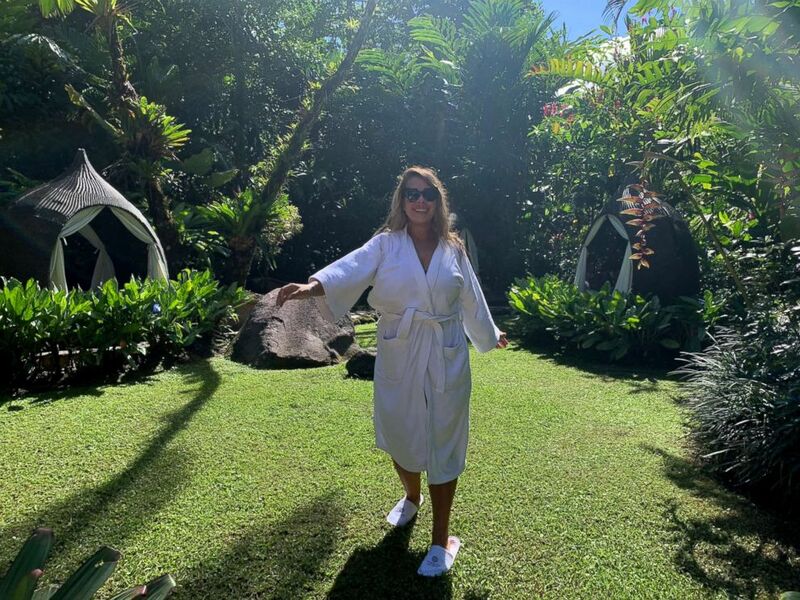 Stefaniak traveled to Costa Rica to celebrate her 36th birthday, according to family. She left for Costa Rica on Thanksgiving Day but had not been heard from since Tuesday, her brother, Carlos Caicedo, told ABC News. Stefaniak's sister-in-law, April Burton, accompanied her in Costa Rica, but Burton flew back one day early. Stefaniak and Burton are like "best friends," Caicedo said, adding that his sister talks to his wife more than she talks to him. The pair had planned to stay in beach towns outside of San Jose, Caicdeo said, and they posted photos and video to social media, documenting their trip. Burton returned to the U.S. on Tuesday, but Stefaniak planned to stay an extra day to celebrate her birthday, Caicedo said. 11:30 a.m.: Stefaniak dropped Burton off at the Juan Santamaría International Airport in San Jose and then returned their rental car to the Thrifty Car Rental, Caicedo said. 12:23 p.m.: She took an Uber to a hostel located near the airport, Caicedo said. Her Uber driver offered to take her on a tour of the city, and she agreed, according to a timeline the family provided to ABC Tampa affiliate WFTS. 1:04 p.m.: Stefaniak arrived to the Villa Buena Vista in San Jose and took about 30 to 50 minutes to change at the hostel while the driver waited, according to the timeline. She paid the driver cash to take her around, and she sent photos to family of her out and about town, where she bought a purse and earrings, the timeline stated. Around 4 or 5 p.m.: The driver dropped her off back at the villa, according to the timeline provided by the family to WFTS. 6:30 p.m.: Stefaniak sent Burton photo of where she was staying, telling her she planned to go to a jazz cafe, the timeline stated. 6:55 p.m.: She sent a message to a WhatsApp group chat with friends, stating that it was raining heavily and that the power had gone out, describing the situation as "Super Sketchy," according to the timeline. 7:30 p.m.: Stefaniak FaceTimed with a friend until about 9 p.m., telling him that she was considering going to a jazz club but that she was too tired, the timeline stated. During the conversation, Stefaniak said she was thirsty, according to the timeline. When her friend suggested that she boil some water, she told him that all she could find was a skillet and said that she was going to ask one of the security guards to buy her a bottle of water, since it was raining, the family told WFTS. It is unclear if she had contact with one of the security guards. 8:20 p.m. Still talking on the phone, Stefaniak texted a group chat on WhatsApp, "I want to go out but I'm dead tired," according to the family's timeline given to WFTS. 9 p.m.: Her phone then died, ending the FaceTime call, according to the timeline. That was the last time anyone had contact with her, the family told WFTS. 12:17 a.m.: T-Mobile records show that Stefaniak's phone connected to the internet for a short time around 12:17 a.m., the family's timeline stated. 5:10 a.m.: The owner of the hostel told the family that she checked out with her belongings just after 5 a.m., but her flight wasn't scheduled to take off until later that afternoon, her family told WFTS, adding that it was unlikely she would check out early for no reason. There were no security cameras on the property or street to verify the hostel owner's claim, the family said. 8:30 a.m.: The Uber driver who drove Stefaniak the day before told the family that she had asked him to pick her up the next morning at 8:30 a.m. to take her to a shopping center, but she never showed up, according to the family's timeline. 1:30 p.m.: Stefaniak's flight back to the U.S. was scheduled to leave at 1:30 p.m., according to the family's timeline. She checked into her flight on her phone but never made it. It is unclear what time she checked in for her flight, the family told WFTS. Stefaniak's family had an inkling that something may be wrong after noticing that Stefaniak did not respond to any birthday messages on social media, Caicedo said. Stefaniak, who is "always on the phone," didn't even read the well wishes Caicedo texted her on Wednesday, but he initially figured perhaps she was on her flight back to Florida, he said. The next day, their other brother sounded "really worried" when he called, saying that Stefaniak never boarded her flight and that no one had spoken to her since the day before, Caicedo said. In fact, Stefaniak hadn't checked her WhatsApp messenger since 8:50 p.m. Tuesday, Caicedo said. "It was weird that she didn't message anybody," Caicedo said. "It was her birthday." On Sunday, Burton wrote on Facebook that Stefaniak hadn't used social media or Uber since she went missing, describing her use of the apps as "part of her daily routine." On Thursday, the family created a Facebook group and GoFundMe page in efforts to find her, Caicedo said. He and a friend then bought flights to Costa Rica, where their first stop on Friday was to the U.S. Embassy and then to the police station and the hostel where Stefaniak spent her last night. His next plan is to contact local hospitals, he said. Stefaniak's father told ABC News he planned to fly to Costa Rica as well to search for answers. During a press conference Friday, Costa Rica Judicial Investigation Department spokeswoman Marisel Rodríguez said Stefaniak traveled to Costa Rica on Nov. 22, spent a few days in the San Carlos area before returning to San Jose on Tuesday. Rodriguez reiterated the time Stefaniak left the hotel and what time her flight was supposed to leave, adding that investigators did not know anything more at the time. The family has been in touch with the FBI, the U.S. Embassy in San Jose and Costa Rica's Judicial Investigation Department, Burton told ABC News. They've also been in touch with the owner of the hostel and the security guards, Burotn added. Caicedo asked that the U.S. Department of State and FBI "take this very seriously right now," adding that the agencies have not been proactive in helping to find Stefaniak. The State Department said in a statement to ABC News that the protection of U.S. citizens overseas is its greatest responsibility. "The U.S. Department of State and our embassies and consulates abroad have no greater responsibility than the protection of U.S. citizens overseas," the statement read. "When a U.S. citizen is missing, we work closely with local authorities as they carry out their search efforts. Due to privacy considerations, we have no further comment." Caicedo described his sister as "the friendliest and most lovely person I feel you would meet." "Just let her know we're working super hard and just want to know, we want to get her back home," he said. ABC News' Connor Finnegan, Ben Gittleson, Joshua Hoyos, Doug Lantz, Kevin Lo and Kirit Radia contributed to this report.